The kids aren’t the only ones who have fun with crafts. I do a fair amount myself. This one is very pretty but it really isn’t doable for small kids. I really enjoy making goodies to decorate the house. 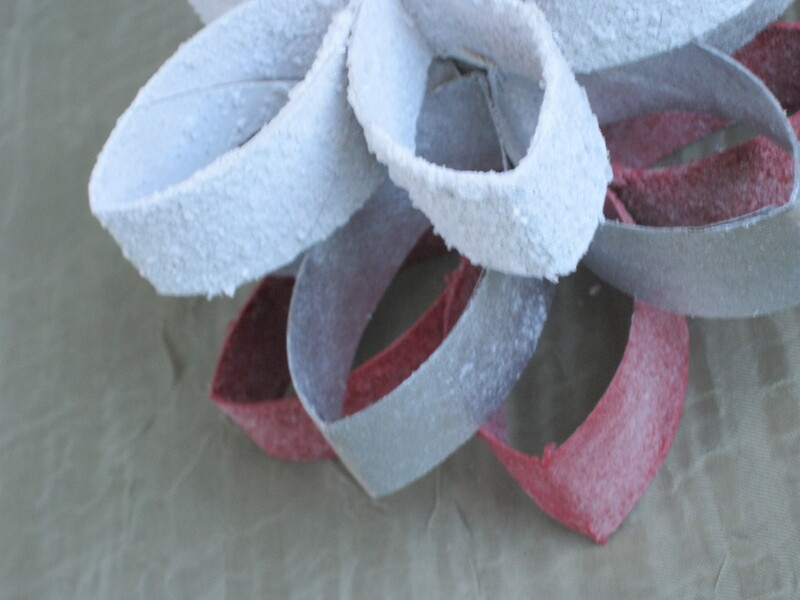 I prefer handmade decorations to store-bought items. 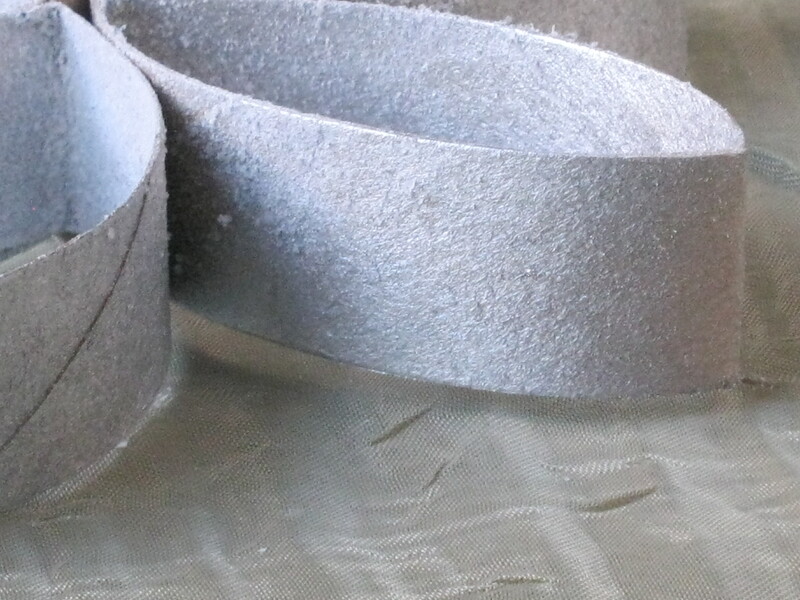 The less expensive the materials are, the happier I am. Gather your supplies. You need some toilet paper or paper towel rolls. I ask my family to save theirs for me so I have an endless supply of craft materials. You’ll also need clothespins, white glue, toothpicks, a ruler, a pen, spray paint, some straws and if you’d like, some epsom salt or glitter. I say the epsom salt looks better. 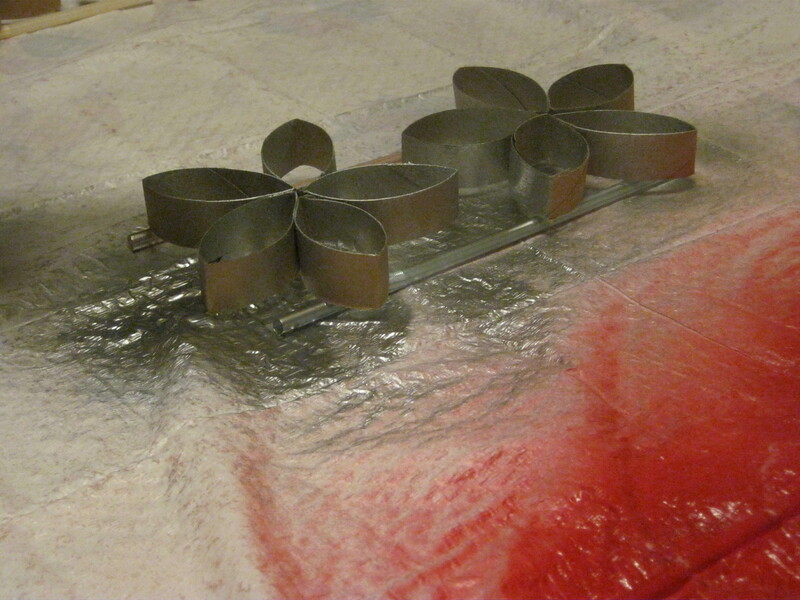 You’ll also need a place to do the spray painting. 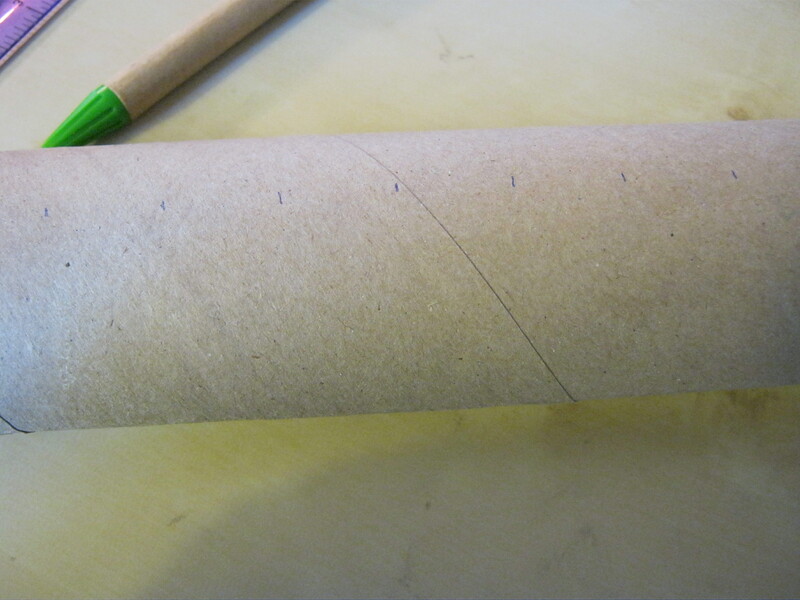 First, you start by making a mark every 3/4″ on the roll. I used a paper towel roll. 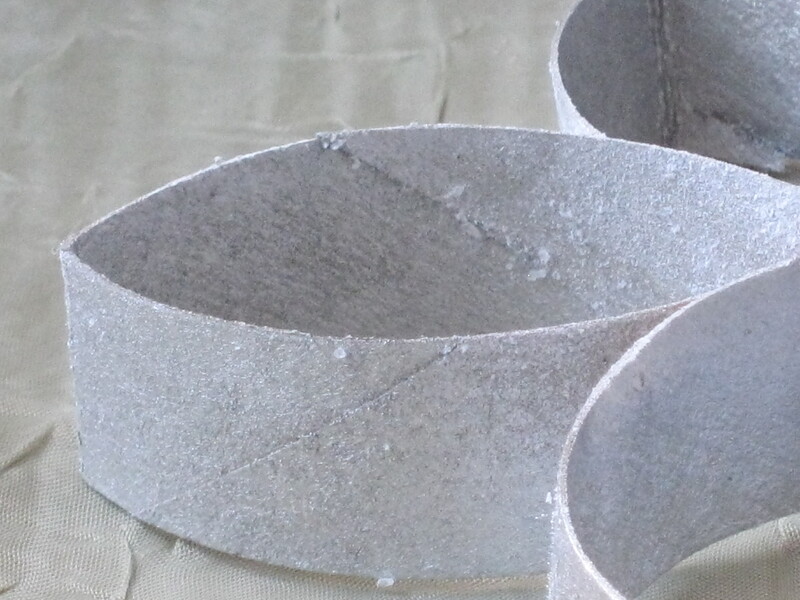 Depending on the brand of paper towels, you can make 2 or 3 stars from one roll. 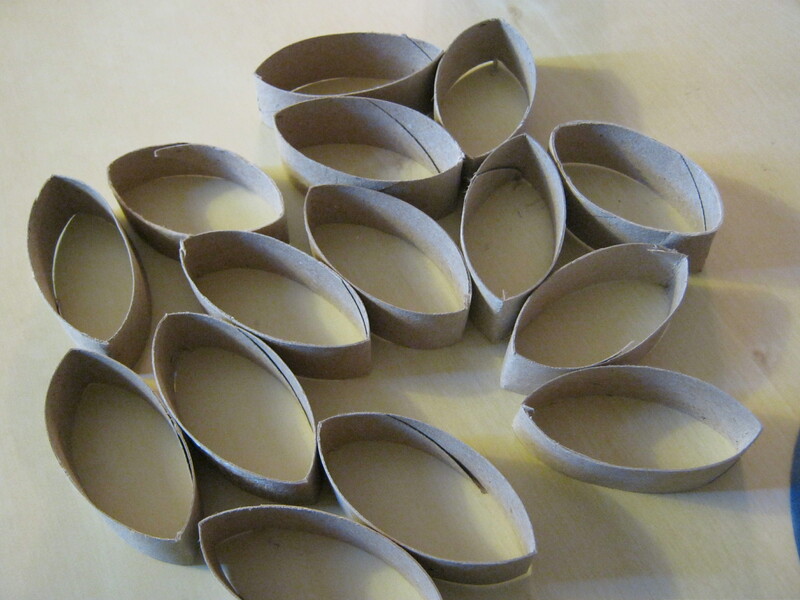 I used two paper towel rolls to make 6 stars and had one extra ring to throw away. 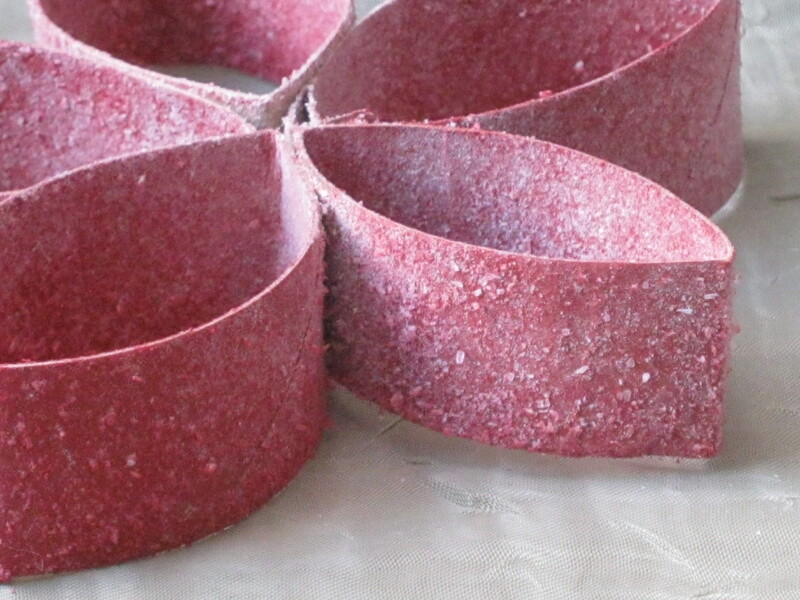 Press the roll in half and then cut the roll into 3/4″ rings. Clean them up and pick a good side and a bad side to go to the back. 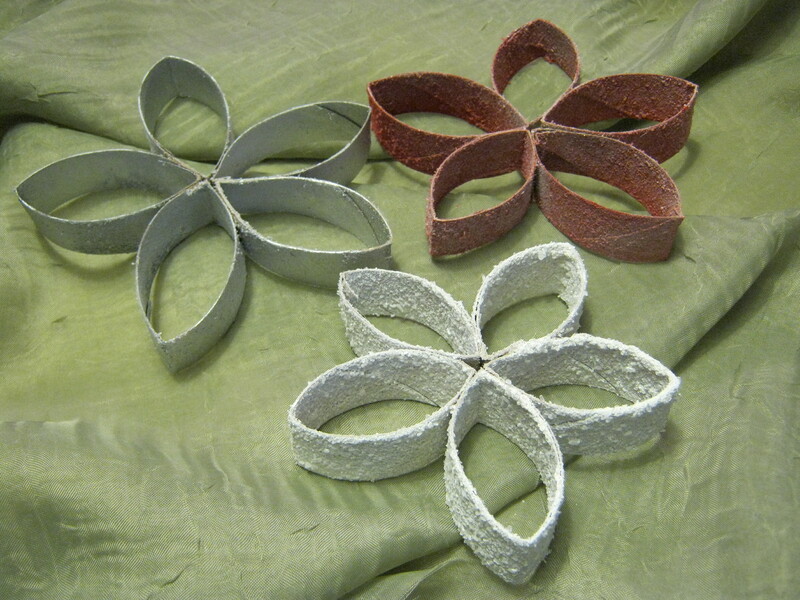 Separate the rings into groups of five for a star or six for a flower. 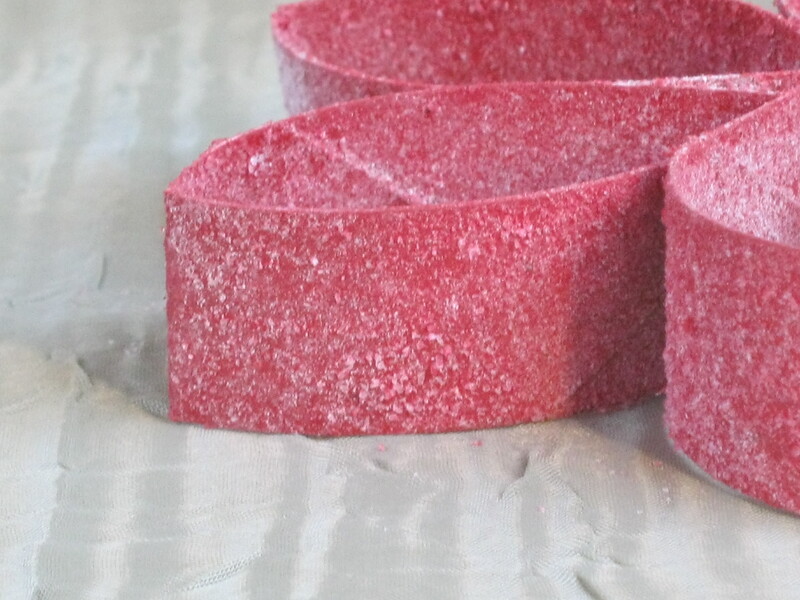 If you have any ends that popped loose when you cut them, glue them back in place. 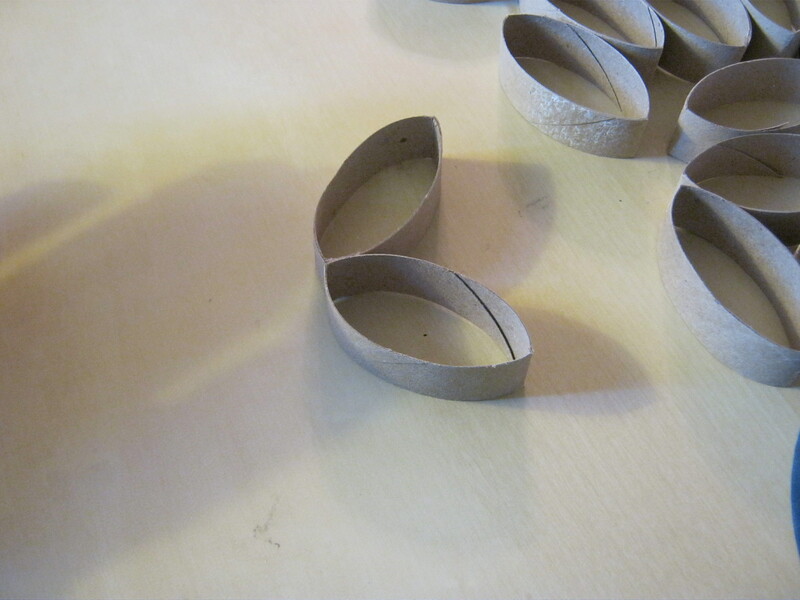 Once you’re done cutting them all out and they’re neat, make sure both ends of each ellipse is well-creased. Take four of the points for the star and take the fifth one and set it aside for now. 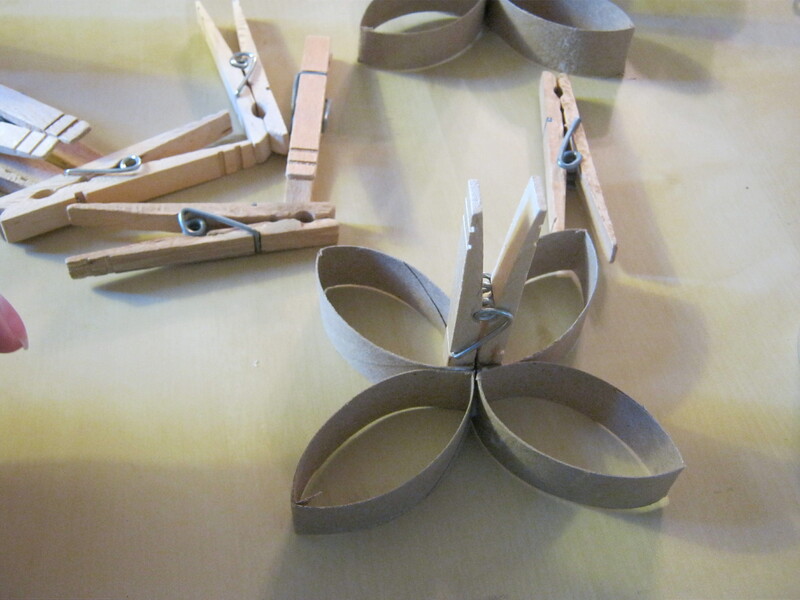 Then put two point to point, good sides both up, and glue them together and hold in place with clothespins. Repeat for the remaining two. Glue two sets of two and leave a single one unglued for the stars. Do three sets of two for the flowers. I’m making stars here. 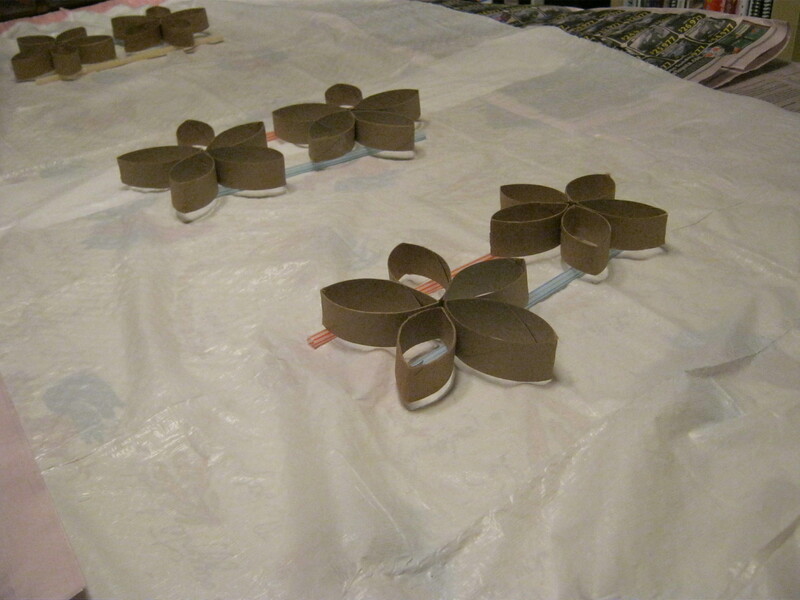 Then glue the two pieces together, good sides up, and clothespin it until dry. This makes a four-pointed star with a small gap at the bottom. Let it dry entirely. 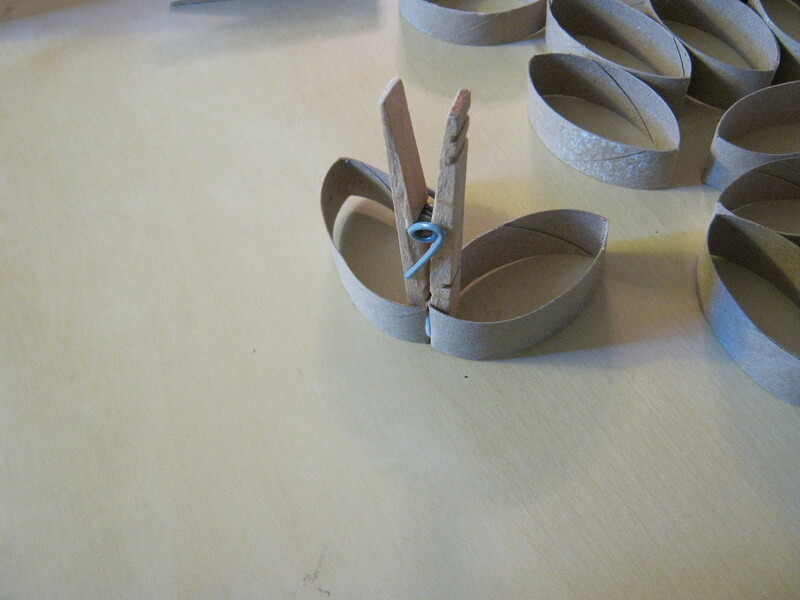 Then finagle the final point into place, good side up, glue it and clothespin it. Let it dry entirely. 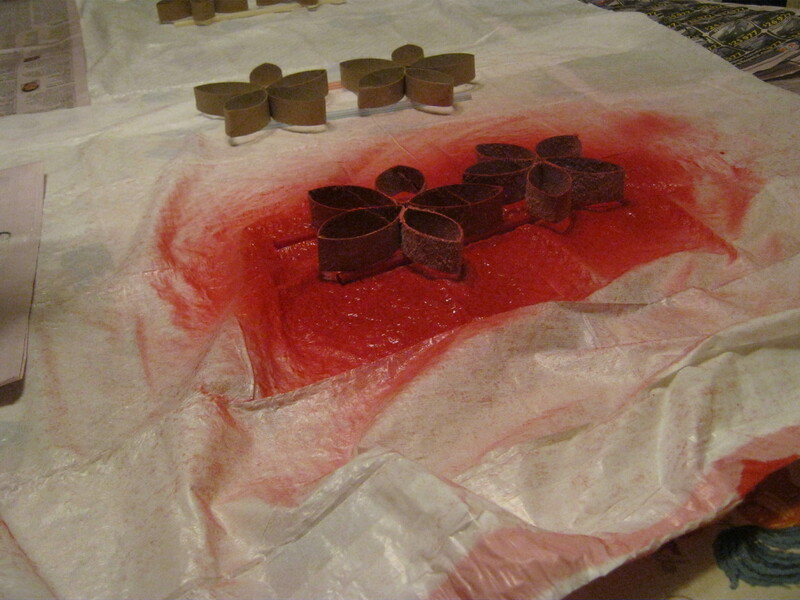 Let them dry completely then set up to spray paint them. You don’t want to try to do the next step while the glue is still wet. If you’re going to use the epsom salts, put about one-quarter of it into a blender and pulse a few times until fine. 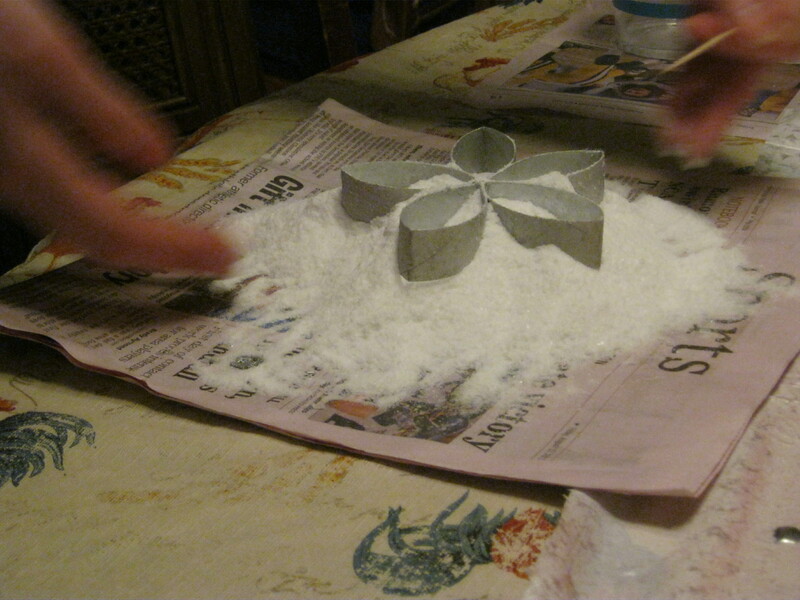 Mix it back into the pound and pour into a bowl or a piece of newspaper. Set it near your spraypaint area. Break out the disposable straws and the toothpicks. Pick out a good spot to spraypaint. 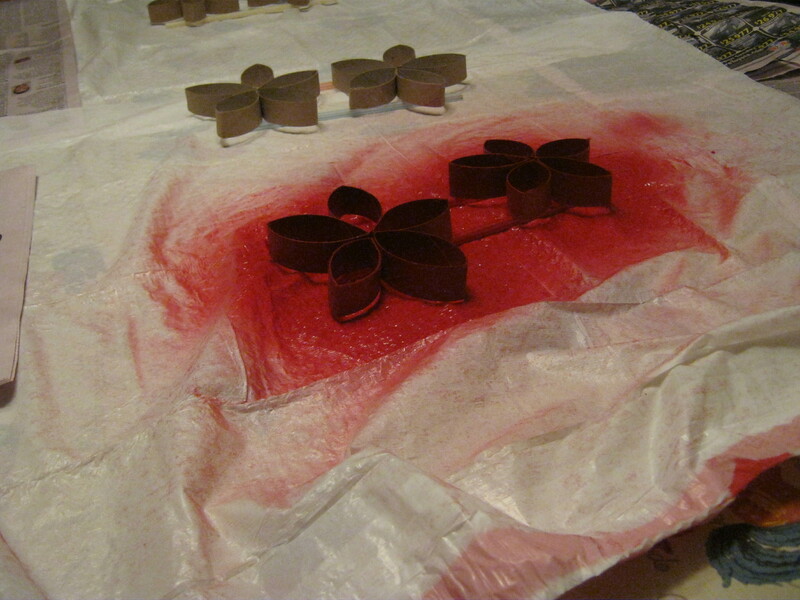 Now, before you freak, I will admit that I did do the spray painting on my dining room table. Why? Well, it was below freezing outside, dark as pitch and my husband was having to repaint the free-standing wood heater that night, so we had the windows open and the whole house fan going. So, yeah, not my normal. But it worked. So I decided to do three different colors. 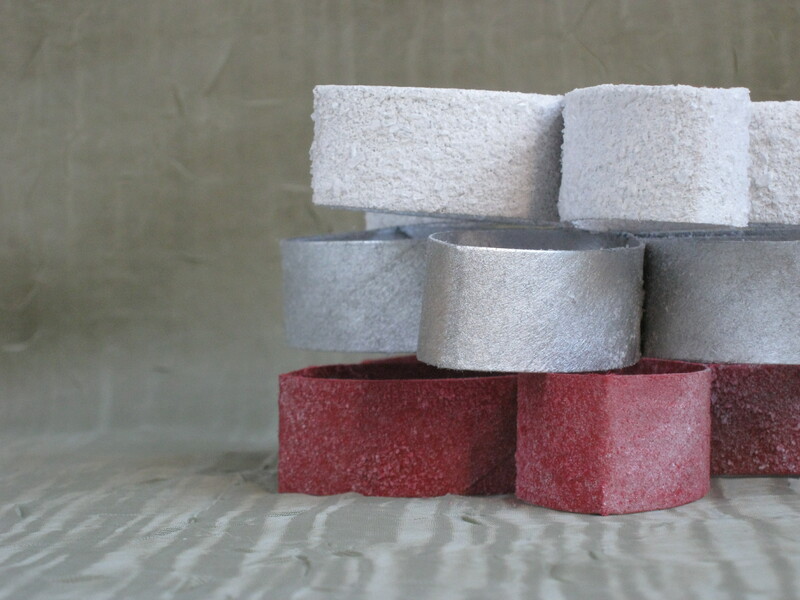 A silver metallic, a glossy red and a glossy white. Line your stars up and put them up on straws so they aren’t touching anything. Then spray paint them well. They are brighter red, but my dining room is poorly lit at night. Here’s the silver. 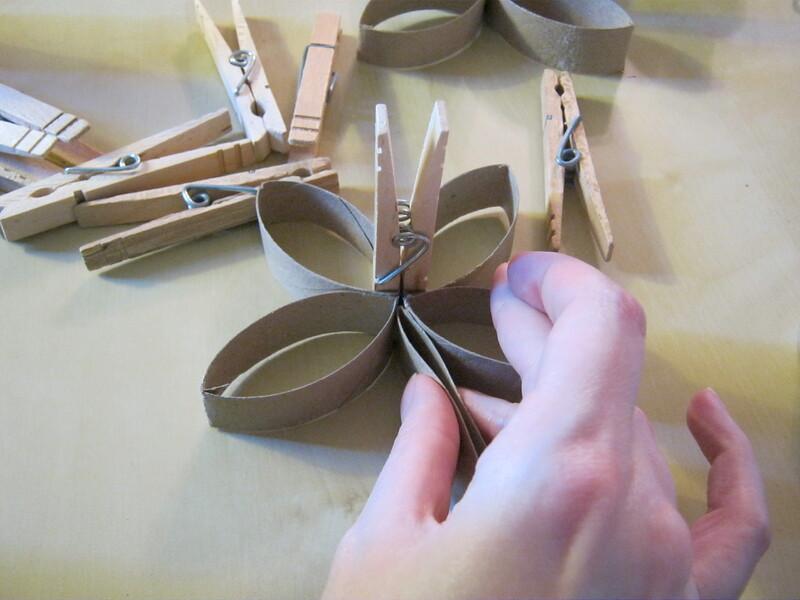 As soon as you’re happy with them, take your toothpick and stick it into the center of the petals and pick up the star. Dunk it into your epsom salt. I just put mine on top then sprinkled the epsom salt on. Some paints will pick up the salts better than others. The white grabbed a lot, the red grabbed less and the metallic didn’t grab nearly as much. Then put them back on the straws to dry. This epsom salt is all finely ground as it is left over from a different craft project. I think a mix of sizes looks better. 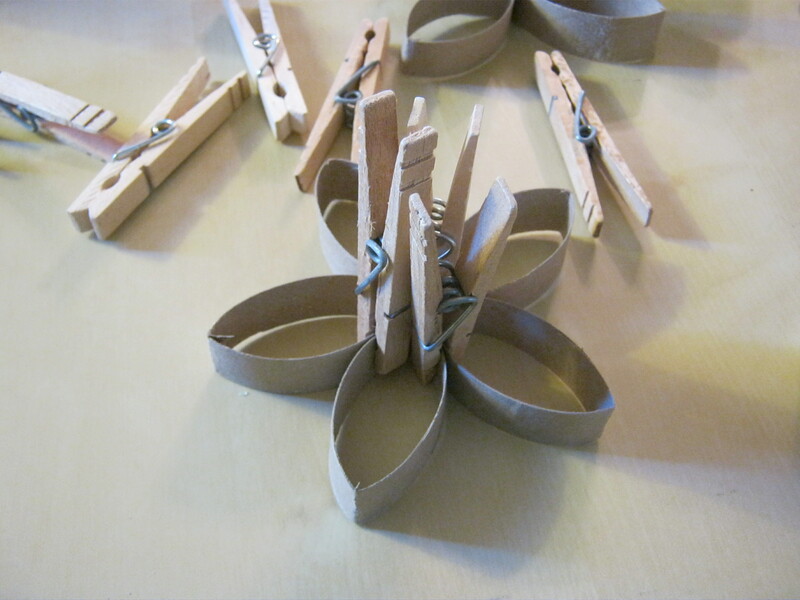 Once they’re dry, you can make them into ornaments, hang them from the ceiling or just set them upright on a flat surface. These are SO cute! I did a similar idea recently with acorns, but I love the addition of the epsom salts! daisy recently posted..Now That’s a Canned Food Drive! Daisy, that’s a really neat idea. I’ll have to try it with pine cones, too. We have plenty in our yard. 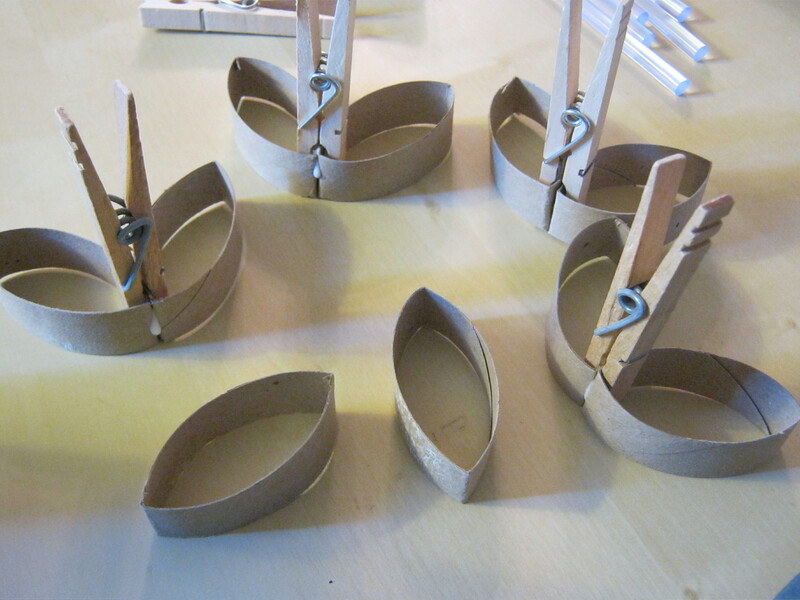 I have all the materials on hand and will give this a try tomorrow with my children . We will do pine cones too! Thanks for the idea, it will be fun!